The Camerata Schulz Wien was formed in 2002 by Vienna Philharmonic solo flutist and active international soloist, Wolfgang Schulz. Its performers include members of the Schulz family, which has a traditional line of musicians, as well as other young and upcoming professionals who had been educated in a special way to play Viennese Classics. Most of them have studied with Gerhard Schulz who is both brother of Wolfgang and 2nd Violinist with the former Alban Berg Quartet. Camerata Schulz Wien appears nationally and internationally in many varied forms of ensemble, sometimes even without conductor, and works primarily together with international soloists. These have included, for example Christian Altenburger, Xavier de Maistre, Wolfgang Schulz, Stefan Vladar and Naoko Yoshino, to name a few. The ensemble is an important and permanent part of the festival “Bonheur musical” in France and of the Stuppach Palace Mozart concert series in Lower Austria. Between 2005 and 2007 the ensemble travelled through Europe and performed an extraordinary program - all existing flute concertos of W.A. Mozart. Camerata Schulz Wien gave concerts at “Herkulessaal” (Munich - Germany), “Stiftskirche Waldhausen” (Upper Austria), “Probstei St. Gerold” (Vorarlberg - Austria), “Schloss Kammer” (Upper Austria), “Carinthischer Sommer in Ossiach” (Kärnten - Austria), “Schloss Laxenburg” (Lower Austria), “Theatre du Champs Elysee” (Paris - France), Èglise St. Pierre-Le-Jeune (Strasbourg - France) etc. Having featured predominantly Viennese Classic programs, the 2011/2012 concert season took a slightly different direction. Under the leadership of conductor Emanuel Schulz, the emphases were on concerts with live moderation, rarities of the Viennese Classical period, and a cooperation together with the Vienna Boys Choir including performances of Fauré’s Requiem and “A survivor of Warsaw” by Schoenberg, 3 of the short operas by Darius Milhaud as well as a scenic performance of his “Die Rueckkehr des verlorenen Sohnes” at the Carinthischer Sommer in Ossiach, to give just a few examples. 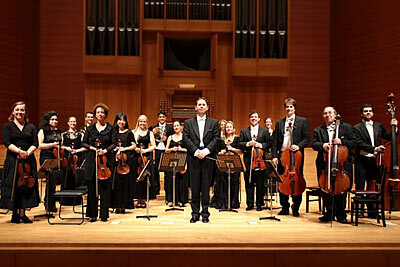 In May 2013 Camerata Schulz Wien undertook a concert tour through Japan in memory of their founder Wolfgang Schulz. He was substituted by Walter Auer solo flutist with the Vienna Philharmonic. The years 2013 and 2014 constituted 35 concerts together with the Vienna Boys Choir and in 2014 the large-scale production of the Johannespassion - J.S.Bach and the “Unfinished” by Schubert, were imminent. Upcoming season 2015/2016 the Camerata Schulz Wien will take part at the Carinthischer Sommer Stift Ossiach the MuTh Concert Hall of the Vienna Boys Choir (at least 16 concerts) and the Osterklang-Festival in Vienna. „Explosive music-making, glorious recorder-playing, Baroque swing” – this is how one could describe the basic aims and achievements of those top players from the original-instrument scene who came together to create the Austrian Baroque Company, a group which is celebrated internationally, receiving the highest praise and many CD awards since its formation in 2001. The founder and director of the distinguished Baroque ensemble is the recorder virtuoso Michael Oman, who trained in Austria, Holland and Italy. For many years this exceptional Austrian musician has impressed public and press alike with his unbounded energy and joyful music-making, and with his period instrument band has conquered the national and international music scene. The Austrian Baroque Company (ABC) brings together chamber music specialists trained at leading European music universities who are dedicated to playing on period instruments. The main focus of their repertoire is the vast store of instrumental and vocal music of the 17th and 18th centuries. Numerous artistic projects from intimate recorder recitals to Baroque recorder concertos (by Vivaldi, Telemann, Sammartini and others) have already been presented to the public and recorded on CD. Praise in Early Music publications and international CD awards (the latest of which was the coveted “Orphée d’Or” from the Académie du Disque Lyrique Paris – one of the highest awards made by the international specialist press) document the outstanding work of the Austrian Baroque Company, which has been described as “unbelievably agile, tempestuous, partly attaining the status of folklore” and “a ravishing celebration by a group with Danube blood in their veins”. After many years of co-operation with the ORF (Austria Broadcasting Company), in 2009 the ensemble began a collaboration with Sony Music (deutsche harmonia mundi) with CDs of „Exit Baroque“ and Handel’s „Nine German Arias“ with the Spanish star soprano and Echo-prizewinner Nuria Rial. Ever since the ensemble was formed in 2001 the Austrian Baroque Company has accepted invitations from a wide range of countries and is a regular guest at international festivals. Besides major classical and romantic repertoire, the VIENNarte trio is also dedicated to presenting contemporary music to audiences, and is developing interesting musical combinations from new connections. Many cd productions show the ensemble´s works. Impetus for the maturing and perfecting of the trio´s musicianship and artistry comes from active participation in masterclasses. These include at the Sandor Vegh Academy (Prague), lessons with Menahem Pressler (Beaux Arts Trio) and with members of the Alban Berg Quartet and the Vienna Haydn Trio. In 1996 the VIENNarte trio gives its debut in concert series Musica Juventutis at the Vienna Konzerthaus and is enthusiatically received by both audience and critics. Performances around Austria follow, including concerts with Jeunesse, Vienna Klangbogen and Podium for the Young at the Vienna Musikverein, as well as the Radio Kulturhaus. International tours confirm the success of the three young musicians´ musical teamwork, with recitals in South Ameriva, Germany, Czech Republic, Italy and Holland. Impetus for the further maturing and perfecting of the trio´s musicianship and artistry comes from active participation in masterclasses. These include at the Sandor Vegh Academy (Prague), lessons with Menahem Pressler (Beaux Arts Trio) and with members of the Alban Berg Quartet and the Vienna Haydn Trio. 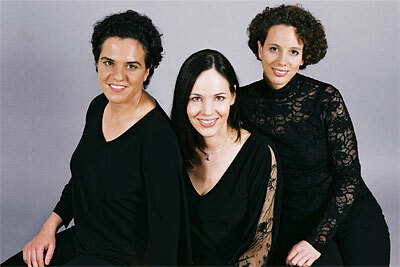 In 1998 the three artist proceed to the finals of the International Music Competition of the ARD in Munich. As prizewinners in the 1997 and 1998 international chamber music competition Charles Hennen Concours (Netherlands) the trio members are invited to perform Beethoven´s Triple Concerto. In June of 1998 they make their debut at the Bonheur Musical Festival (France), and become thereafter an integrated part of the festival. 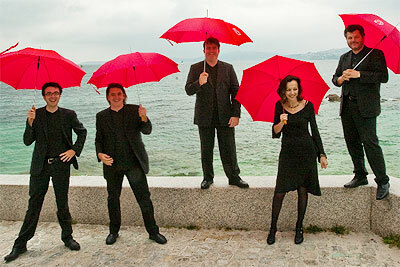 A close working partnership develops between the trio and members of the Wien-Berlin ensemble. With performances in the Rheingau Music Festival and the Mecklenburg-Vorpommern Festival, the VIENNarte trio is heard at some of the most important German festivals. As a result steady contact is built up with various concert organisations in Austria, Germany and Italy. Under the musical guidance of Wolfgang Schulz, solo flutist in the Vienna Philharmonic Orchestra, theVIENNarte trio produces its first CD (Beethoven, Brahms). In the spring of 2001 the young artists receive the Special Prize for the best interpretation of contemporary music at the 1st International Joseph Haydn Chamber Music Competition in Vienna. Their second CD, featuring Haydn´s Bartolozzi Trios, appears under Campanella Musica in co-production with Sender Freies Berlin. The Austrian Departement of External Affairs recommend the VIENNarte trio as one of three classical ensembles to represent Austria for the 2002/03 season in the programme The New Austrian Sound of Music. Invitations to Mexico and Kenya follow as well as a tour throughout Oman in early 2003. The ensemble prforms at the Mozartwoche 2003 (broadcast live in ORF), and several times at the Vienna Konzerthaus, most recently in 2004. Austrian radio invites the trio more than once to be interviewed, and Radio Stephansdom presents the Bartolozzi Trios CD regularly on its broadcasting programme. The upcoming season takes the trio to Germany, the Czech Republic, France, Austria and Switzerland. Stefan Dohr studied in Essen and Cologne and started his professional career at the age of 19 as principal horn of the Frankfurt Opera. He occupied the same position with the Bayreuth Festival Orchestra, the Orchestre Philharmonique de Nice and the Deutschen-Symphonie-Orchester Berlin. 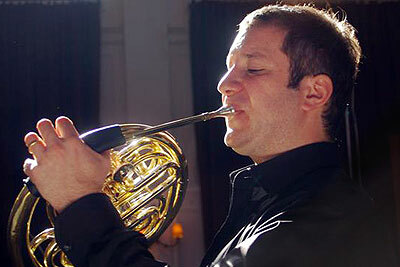 Stefan Dohr has been the principal horn of the Berlin Philharmonic since 1993. As a soloist Stefan Dohr has worked with many celebrated conductors, including Daniel Barenboim, Bernhard Haitink, Christian Thielemann, Ingo Metzmacher and Daniel Harding as well as Claudio Abbado. His engagements as a sought after chamber musician include performances with his Philharmonic colleagues in various ensembles as well as with partners such as Maurizio Pollini, Lars Vogt, Kolja Blacher and Ian Bostridge. He is also a member of the Berlin Philharmonic Octet as well as the Ensemble Wien-Berlin. Stefan Dohr appears regularly in international chamber music festivals and is invited to give master classes throughout the world. As well as the solo-repertoire of the classic and romantic period such as the horn concertos of Mozart, Haydn and Strauss ,Stefan Dohr's interest also lies in works by contemporary composers such as Ligeti, Knussen and Kirchner. He has had a number of pieces composed for him, such as the 'Montafon' concerto by Herbert Willi (2008), Johannes Wallmann (2010), Toshio Hosokawa (2011). Up and coming German mezzo soprano Stefanie Irányi, is establishing her reputation both on the opera and concert stages, as well as an outstanding interpreter of art song. For a recent Lieder recital with pianist Helmut Deutsch in Basel Switzerland, she was praised as “a young singer with a winning vocal radiance and performing intelligence”. The Israeli newspaper Haaretz, noting a rare performance of Wagner’s Wesendonck Lieder on a Tel Aviv stage, wrote that she was “ … a wonderful singer, shaping each syllable into the long and expressive phrases with her beautiful voice and her original musicality”. Ms Irányi has performed at the Parma Opera, Italy, in Verdi’s “Rigoletto”, Mozart’s “Cosi fan tutte” and Schumann’s “Faust Szenen”. She has also toured Peking, China, with that company. She appeared at the Teatro Regio in Torino in Menotti’s “The Consul”, at the “Fenice” in Venice in Vivaldi’s “Ercole sul Termodonte” and as Wellgunde in Wagner’s “Die Götterdämmerung”. She also sang at the Ancona, Napoli, Bariand Lisbon opera houses. On the concert stage, she has sung at the Konzerthaus in Vienna, the Herkulessaal in Munich and at the Ludwisburg Festival. She has performed Mendelssohn’s “Elijah” with the RAI Orchestra in Torino and Rossini’s “Petite Messe Solennelle” in the Teatro Massimo of Palermo. Her repertory also includes Mozart’s Requiem, Bach’s Mass in B minor, the St. John and the St. Matthew Passions and the Christmas Oratorio. Ms Irányi has sung under the batons of conductors Zubin Mehta, Helmut Rilling, Fabio Biondi, Raphael Frühbeck de Burgos, Bruno Bartoletti, Asher Fisch, Jeffrey Tate amongst others. In 2013, she will debut in the Wagner bicentennial production of the “Ring der Nibelungen” under Maestro Zubin Mehta during Florence’s “Maggio Musicale” and also at the Theatre in Valencia. Stefanie Irányi has collaborated with pianist Helmut Deutsch in numerous recitals, including appearances at the Wigmore Hall in London, at Schubertiades in Perth and Barcelona, and in Munich and Vienna. A native of Chiemgau in Bavaria, Ms Irányi completed her studies at the Academy of Music and Performing Arts in Munich, and is prizewinner of the Robert Schumann International Competition in Zwickau and of National Competition for Voices in Berlin. Stefanie Irányi’s discography includes Dvorak’s Requiem, a Brahms Lieder album, Brahms Volkslieder with baritone Michael Volle, “Il Matrimonio di Tobia” by Simon Mayr. 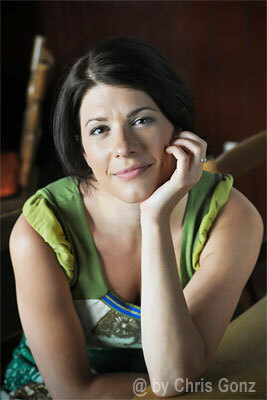 In October her first solo cd, with the “Hofkapelle München”, featuring works by Handel, Haydn and Hasse appeared. The Italian organist and harpsichordisdt, Claudiuo Brizi, graduated in organ and organistic composition with W.v.d.Pol at the Morlacchi Conservatory in Perugia, then specialized with J.Uriol, M.Radulescu, M.Morgan. Also studied harpsichord with A.Conti at the G.B.Martini conservatory in Bologna. Guest of some of most prestigious musical institutions in the world, Claudiuo Brizi carries on an intense concertistic activity as a harpsichordist, organist and conductor. Composer himself, since many years Brizi takes particularly care of the study of this century's musical expressions, collaborating with famous Italian and foreign composers, some of which dedicated compositions to him. He carries on activity of musicological and organological research and takes care of music publications for organ and harpsichord for the Carisch SPA publishing house in Milano. 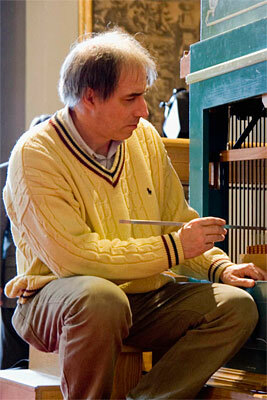 He teaches organ and organistic composition at the A.Buzzolla Conservatory in Adria and leads postgraduate courses. Claudiuo Brizi's discography ranges from the late Renaissance to the most recent expressions of the Avant-garde. 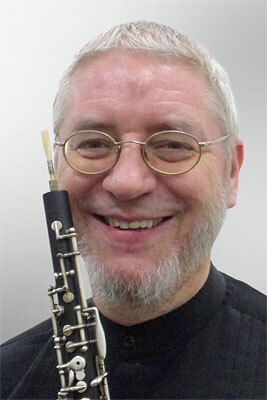 Thomas Indermühle plays oboe as solist in most of the European countries, in USA, Canada, Mexico, Japan, Korea and Australia. Born in Bern in 1951, Thomas Indermühle is the scion of a Swiss family of musicians. He studied with Heinz Holliger at the University of Music Freiburg in Breisgau, and with Maurice Bourgue in Paris. Afterwards he spent several years as solo oboist in the Netherlands Chamber Orchestra in Amsterdam and the Rotterdam Philharmonic Orchestra. In 1974 he was awarded a prize at the International Competition in Prague and in 1976 he won the International ARD Competetion in Munich. Since then he has appeared as a soloist in almost all European countries, in the USA, in Canada, Mexico, Japan, Korea and Australia. Leading composers such as Manfred Trojahn, Wolfgang Rihm, Akira Nishimura or David Philip Hefti have dedicated oboe concertos for him. Of great importance to him are also his „Ensemble Couperin“, his activity as a conductor and his work with his students. Thomas Indermühle has been responsible for an oboe class at the Zurich University of Music and Theater since 1984 and in 1989 he was appointed professor at the University of Music in Karlsruhe. He has recorded for Philips, EMI, Claves, Novalis and Camerata Tokyo. DANIELA IVANOVA – conductor, was born in Burgas, Bulgaria, in 1977 and received her first violin and piano lessons at the age of four; later she also studied the viola, singing and the baroque violin. In 1999, after having received her bachelor degree in viola from the Bulgarian National Academy, she continued her postgraduate studies with Hans Peter Ochsenhofer at the University of Music and Performing Arts in Vienna. She graduated with distinction in 2008. Her talent caught attention and it is by no means surprising that Daniela Ivanova has also been a scholarship holder at highly renowned institutions: in 2001, she received the Gottfried von Einem scholarship of the Herbert von Karajan Zentrum in Vienna. During the academic year 2004/2005 her studies were eased with scholarships from the Austrian Dr. Martha Sobotka-Charlotte Janeczek Foundation and the Swiss Maggini Foundation. From 2002 to 2004, she was granted a scholarship from the Dr. Robert and Lina Thyll Foundation (Switzerland). In 2003 she was awarded the Austrian “frauen.kunst.preis” in the category music by the federal minister Elisabeth Gehrer at the parliament in Vienna. In 2004, Daniela Ivanova founded a chamber orchestra and gave numerous concerts whilst touring Austria, Bulgaria and Italy for three years. Important artistic inspiration was gained in master courses and workshops for conducting with Ralf Weikert, Simeon Ironkoff, Daniel Harding, Daniel Barenboim, Bertrand de Billy, Tibor Bogány and Filip Pavišić. In 1999 Daniela Ivanova moved to Vienna and has lived there since. While focusing on enhancing her skills as a conductor she has been participating in various solo and chamber music concerts in Europe, Israel, Japan and the US. Another focus has been on teaching. Since September 2007 she has been engaged in the viola section of the Vienna State Opera Orchestra and in 2010 she was accepted as a member of the Association of the Vienna Philharmonic.